There are many things to do in Kuta Beach, but the most popular is surfing. It can be proved by a lot of people who surf this beach. In addition, there are many rental surfboards on the beach. Surfboard very easily found along Kuta Beach. Surfing at Kuta Beach is not only for professionals, also can be done by beginners. 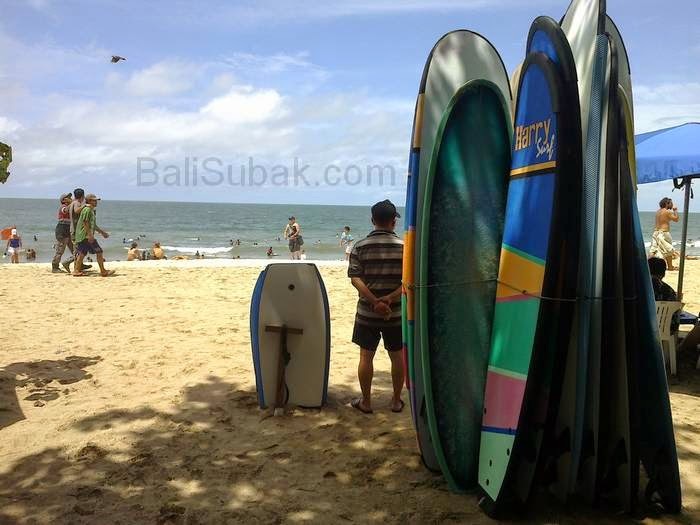 Tourists who want to learn to surf can also be done at Kuta Beach. Because the beach is very crowded, has many places surfboard rental, there are many instructors who can train beginners to surf. Surfboards on display along the coast. Surfboard standing and tied with another board, making the beach looks beautiful with the hallmark of a beach for surfers.